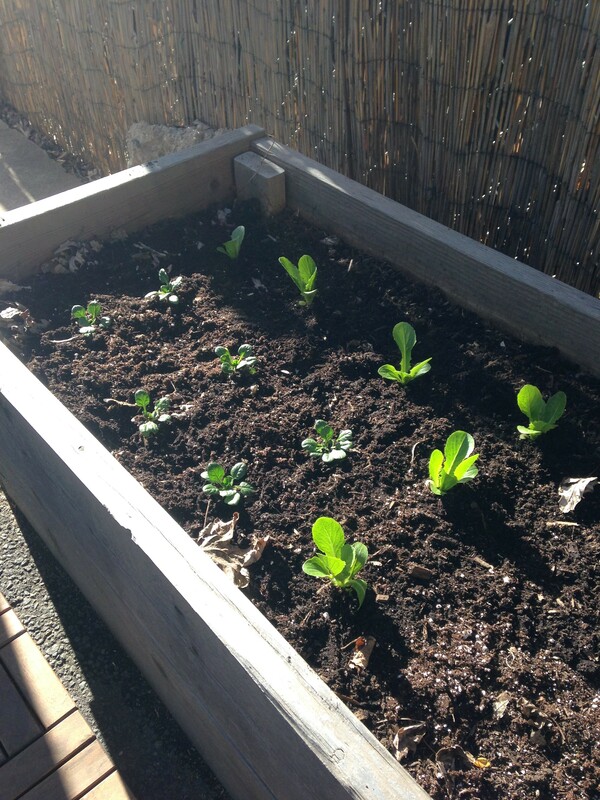 Today I harvested romaine lettuce from my small, urban backyard container garden. 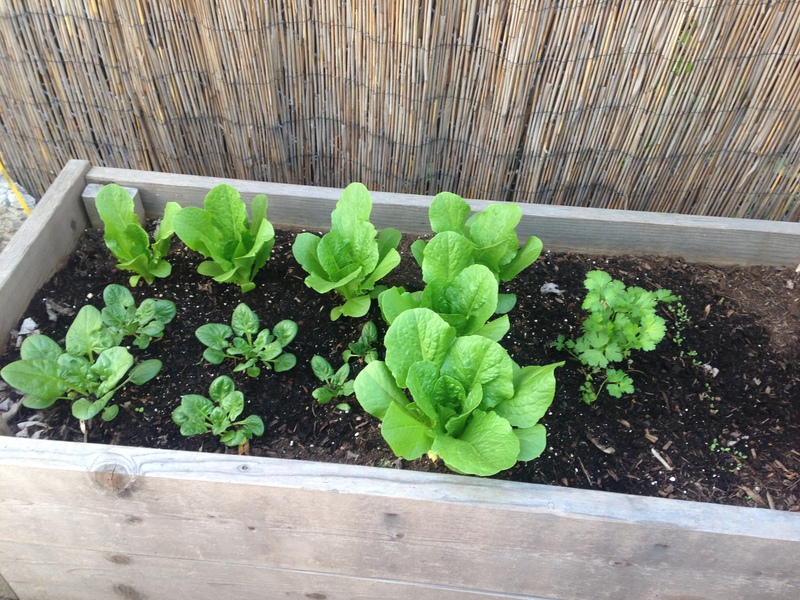 This cool spring/summer has been perfect weather for my first attempt (OK first successful attempt) to plant lettuce. Lettuce prefers cooler temperatures and can tolerate partial sun and the shorter days of early Spring. I’ve been cutting the lower leaves off for the last few weeks to harvest a seemingly endless supply of romaine. When I brought the leaves inside to rinse them off, I noticed some weird looking insects that I know to be lady bug larvae (a.k.a. lady beetles or ladybird beetles). Who would have thought that such a prehistoric and nefarious looking insect could be good. But they are! So I carefully brought the leaves outside and transplanted the larvae to other plants. Lady bugs are beetles in the Coccinellidae family and they eat aphids and scale insects, common pests found in gardens, orchards and the like, and their larvae feed on these pests too. 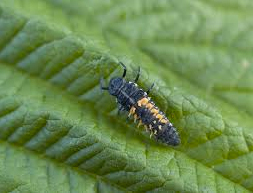 In fact, you can buy boxes of lady bugs to distribute in your garden as a form of biological control for aphids. I was actually tasked with the distribution of lady bugs inside of a hydroponic tomato greenhouse when I was in college. It was one of the first things I was asked to do, and while it was a little unsettling putting my hand into a writhing box of lady bugs—I found lady bugs in my clothes for days afterwards—I felt good about spreading my little partners in crime. There are a lot of insects that are good for your garden, lady bugs are just one of them. We need insects to pollinate flowers and give us vegetables and seeds, to spread pollen around and increase the diversity of our plant species. And for my lettuce and other vegetables, before the warm summer causes my lettuce to get bitter tasting and bolt (produce a flower stalk), I welcome the site of these tiny predators that help sustain balance in my organic garden. If you needed another reason not to use chemicals, I hope I just gave you one!